Looking for recommended lenses for your Canon EOS 6D Mark II? Here are top rated Canon 6D Mark II lenses. The Canon EOS 6D Mark II caused a lot of excitement when it was announced not too long ago. It is the popular camera manufacturer’s cheapest full-frame camera so far. The market instantly fell in love with it because such an amazing camera suddenly became so accessible. The Canon EOS 6D Mark II uses a 26 MP dual-pixel AF sensor. It has 45 focus points, and this gives you a lot of versatility and ease of use. The camera has a touchscreen that can be tilted, has the lens and digital stabilization, and can shoot full HD videos at 60 fps. These are just some of the highlights of the Canon EOS 6D Mark II. Obviously, this comes packed with advanced features, which is why more and more photographers and enthusiasts are buying and using it. To fully take advantage of this camera, you have to pair it with the best lenses for Canon EOS 6D Mark II, which are all reviewed below. This Canon lens has a 10.7x zoom range, which is quite ambitious. For perspective, there is only one other lens so far that is equipped with such a range (Nikkor). The good news is that it manages to be sufficiently sharp throughout most of that range. It has a push/pull design, so you have to handle it much like you would a trombone when zooming. It does have a sturdy build, which is something you can only rarely find among all-in-one zoom lenses. 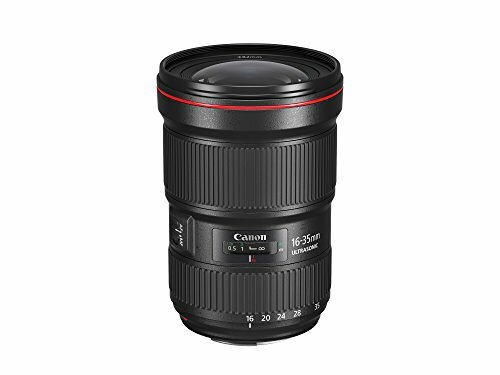 The one downside we find with the Canon EF 28-300mm f/3.5-5.6L IS USM is the barrel distortion that it tends to show at times, which you can correct using editing software but not without having to narrow down the field of view. You will get used to it, but at this price, you should not have to. This other lens from Canon has an aperture range of f/22 to f/4. The minimum focus distance is 45 cm, and it uses a Canon EF mount. It is a premium standard zoom lens, and you can feel its astronomical price tag on its body. The lens is clearly meant for heavy use. This lens is equipped with an optical image stabilizer that is specifically designed to combat the blurring caused by camera shake. This is a 4-stop image stabilizer, so you get to produce sharp shots even without a tripod and even at slow shutter speeds. It manages to produce sharp images throughout most of the zoom range, but there is a little barrel distortion. Also, you will notice some vignetting at the wider apertures. All in all, though, we think the Canon EF 24-105mm f/4L IS II USM is a nice upgrade to its predecessor and well worth its price. This is a good all-around lens for professionals and budding photographers alike. This Canon lens gathers light well and can easily deal with shallow depths of field. We also think the center sharpness is noticeably better than what you can find from competing lenses at this price point. What we do not like too much about it is that it has no stabilization feature. Moreover, it is quite bulky and has a focus-by-wire design, which takes some getting used to. Overall, we believe that the Canon EF 85mm f/1.2L II USM is great for portrait photography with shallow depths of field. It does have its share of imperfections, but the good still outweighs the bad, so we think it is well worth the price. 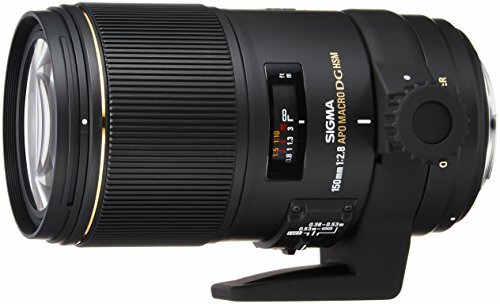 This Sigma lens is a prime lens with a fixed focal length of 85 mm. It is compatible with the Canon EF, Sigma SA Bayonet, and Nikon (FX) lens mounts. Its aperture range is f/16 to f/1.4, and the minimum focus is 0.85 m. This lens has 9 diaphragm blades and 14 elements in 12 groups. The resulting image quality is nice. We like its object isolation performance and bokeh effect. The overall capability of this lens from Sigma makes it ideal for portrait photography and low-light shooting. Sadly, this lens does not have image stabilization. Moreover, it is not fully weather-sealed (only dust- and splash-proofing). 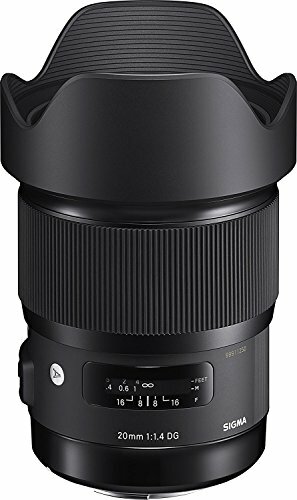 This lens from Sigma is an upgrade, and one of the notable added features is optical image stabilization. Other differences with its predecessor include the layout of the lens elements and the addition of rounded diaphragm elements for the aperture. 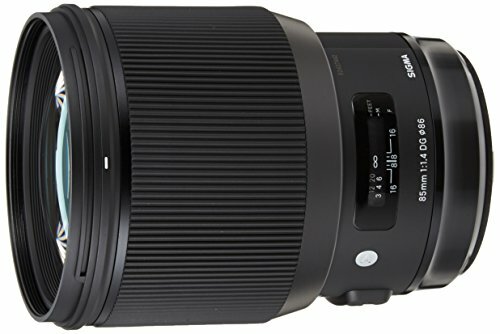 The Sigma 150mm f/2.8 EX DG OS HSM APO Macro is available in Sony, Pentax, Nikon, Canon, and Sigma mounts. It is a little heavier than most lenses from the same category, so you may want to use a tripod for extended periods of macro shooting. We think the optical stabilization and the scales are good. However, there is no infrared index marker, and there are no indicators of the depth of field. In summary, we believe the Sigma 150mm f/2.8 EX DG OS HSM APO Macro offers good value for money. This lens from Canon has a focal length of 24-70 mm and an aperture range of f/22 to f/2.8. It uses a ring-type ultrasonic motor focusing, which comes with full-time manual override. The minimum focus distance is 0.38 m and magnification is 0.19x, which we think are good for the price. This lens fits full-frame, APS-C, and APS-H Canon SLRs, which is a major plus for us. The only disadvantage we see here is that it does not have image stabilization. 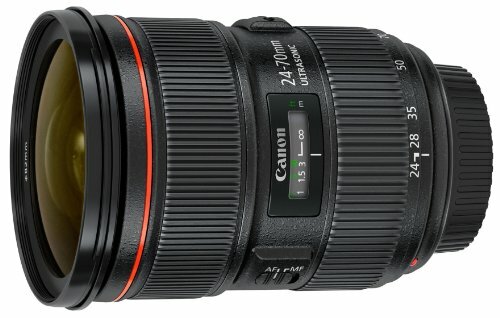 To sum it up, we want to reiterate that the Canon EF 24-70mm f/2.8L II USM performs well but is a very expensive lens. 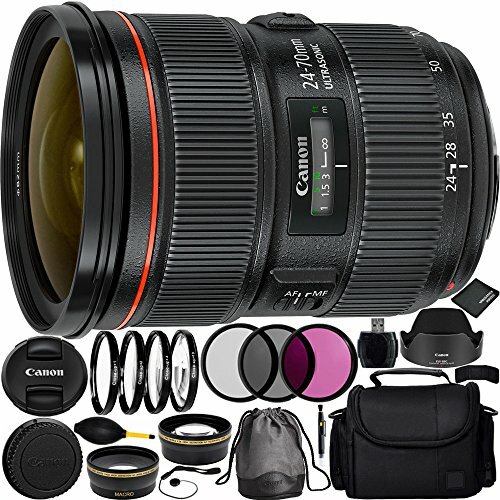 You can go straight to it even as a new photographer, but you are better off settling for something a little cheaper if you do not think you need all the capability of the Canon EF 24-70mm f/2.8L II USM. 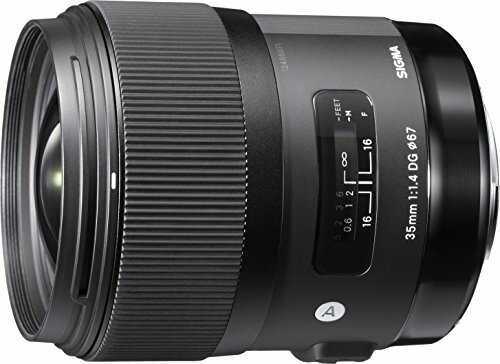 The Sigma 35mm f/1.4 DG HSM Art has an aperture range of f/16 to f/1.4, a minimum focus distance of around 0.3 m, a hypersonic motor, anti-flare multilayer coating, and special low-dispersion elements. We want to commend the Sigma 35mm f/1.4 DG HSM Art for its performance under low-light conditions, which is due to its wide f/1.4 aperture. We like its shallow depth of field and resulting object isolation capacity, which make the Sigma 35mm f/1.4 DG HSM Art great for bokeh photography. Our only complaint about it is that it does not have a rubber gasket that keeps dust away. You may find other flaws, but it may boil down to personal preference. We like the Sigma 35mm f/1.4 DG HSM Art, especially given the very attractive price tag. 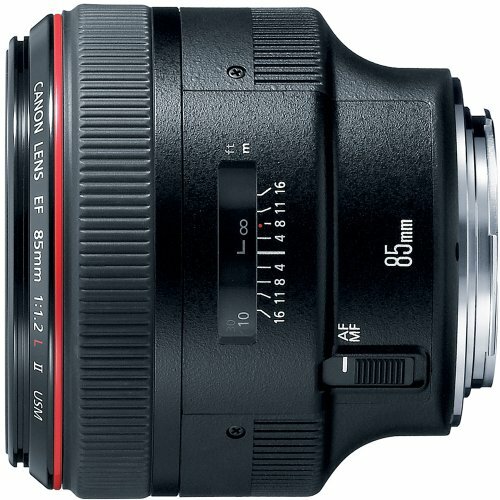 This Canon lens has an aperture range of f/22 to f/2.8, which we think is decent enough at this price point. It uses one super UD element, two UD elements, and three aspherical elements. The Canon EF 24-70mm f/2.8L II USM has super spectra and fluorine coatings, a ring-type ultrasonic motor AF system, and a rounded 9-blade diaphragm. It is also weather-sealed. All in all, we like the optics of the Canon EF 24-70mm f/2.8L II USM. It also resists flaring well in our opinion. What we do not like about it is the vignetting it tends to do at f/2.8 in the 50-70 mm range. It also does not have image stabilization. This lens from Sigma has a hypersonic AF motor, an aperture range of f/16 to f/1.4, and super multilayer coating. It uses one molded glass aspherical element and three special low-dispersion elements. The Sigma 50mm f/1.4 DG HSM Art has a rounded 9-blade diaphragm, brass bayonet mount, and a large-diameter design. In summary, we like the sharp images produced by the Sigma 50mm f/1.4 DG HSM Art. There is the very little chromatic aberration, and there is nearly zero distortion. It also resists flare well. Our only complaints are the lack of weather-sealing and the size and weight of the Sigma 50mm f/1.4 DG HSM Art. For a 50 mm prime, it is quite heavy and bulky. 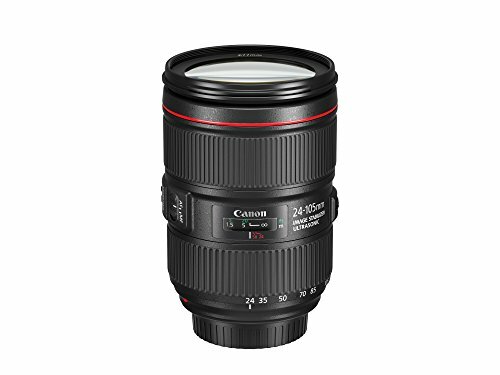 This Canon lens is an EF mount L-series lens and has an aperture range of f/16 to f/1.2. It uses an aspherical lens element and an ultrasonic AF motor with manual focus override. The minimum focus distance is about 0.46 m, and there is a depth of field scale and infrared index. In general, we appreciate the fast AF of the Canon EF 50mm f/1.2L USM and its rendering in backlit conditions that are typically susceptible to flare. We also like its “3D” output; it is noticeably better than that of competition. Our only complaints are that it tends to show some purple fringing when shooting under f/2.8. 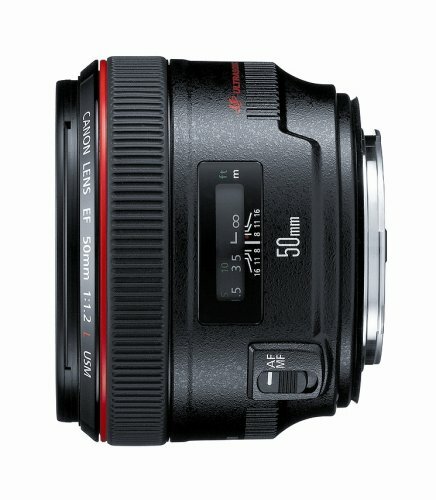 Nevertheless, for the price, we think the Canon EF 50mm f/1.2L USM gives good value. The Canon EF 16-35mm f/2.8L III USM uses two UD elements and three aspherical elements. It has an aperture range of f/22 to f/2.8, a ring-type ultrasonic motor AF system, and a rounded 9-blade diaphragm. The lens has SWC, air sphere, and fluorine coatings and is weather-sealed. We are impressed with the Canon EF 16-35mm f/2.8L III USM; it may just be one of the sharpest wide-angle lenses on the market today. Chromatic aberration, coma, and issues found in the corners of images, which plagued its predecessor, are all addressed by the Canon EF 16-35mm f/2.8L III USM. However, when you go beyond 24 mm, you may encounter some sharpness issues. Overall, we think this is a good option for low-light shooting and landscape photography. This dust- and splash-proof lens from Sigma uses FLD and aspherical elements. 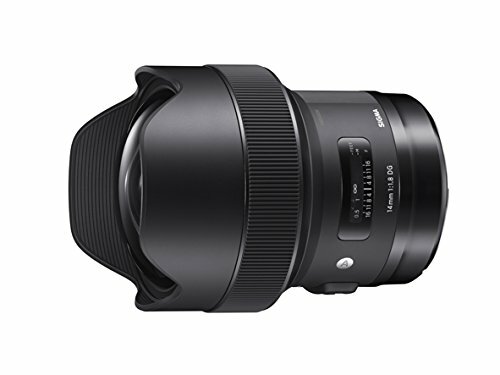 The Sigma 12-24mm f/4 DG HSM Art has an aperture range of f/22 to f/4 and has a super multilayer coating. It uses a rounded 9-blade diaphragm and a brass bayonet mount. 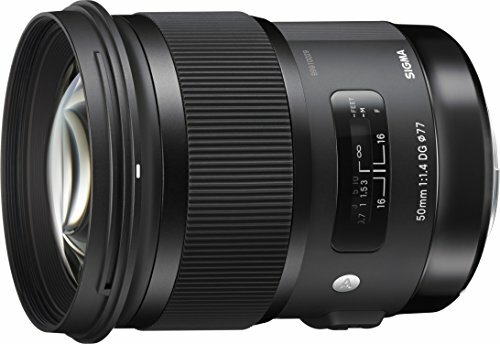 We think you will also like the AF performance of the Sigma 12-24mm f/4 DG HSM Art, especially at close focal ranges. However, the center of images is not as sharp as those produced by other lenses at this price point. We recommend this lens for wide-angle zoom photography and landscape shots. This lens by Sigma uses two aspherical elements, two FLD elements, and five SLD elements and has an aperture range of f/16 to f/1.4. It comes with the super multilayer coating and has a brass bayonet mount and a built-in petal-shaped lens hood. AF uses a hypersonic motor with manual override. The Sigma 20mm f/1.4 DG HSM Art is heavy, but it is a good lens for general use. We think it delivers noticeably well in landscape photography, but you may have to stop it down to avoid compromising sharpness at the edges. It also performs well for night sky photography or astrophotography, but do remember that it is not weather-sealed. All in all, we think the Sigma 20mm f/1.4 DG HSM Art is still worth its price. 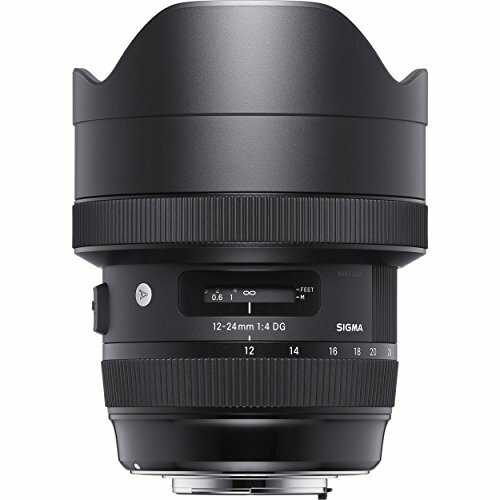 The Sigma 14mm f/1.8 DG HSM Art has a hypersonic AF motor with manual override. Its aperture range is f/16 to f/1.8, and it has three FLD elements, four SLD elements, and four aspherical elements. This lens has super multilayer coating, a rounded 9-blade diaphragm, and brass bayonet mount. The Sigma 14mm f/1.8 DG HSM Art is a good and reliable lens for astrophotography in our opinion. You can take short-exposure shots and experiment with varying angles and compositions with the extra stops. If you are aiming for time-lapse photography, you can go for a low ISO to obtain clean pictures. You can also shorten the exposure time at the same time for a slightly different effect. The only downside is that it is not as ideal for architecture shots. The Canon EF 70-200mm f/2.8L IS II USM is a weather-sealed EF-mount full-frame lens with an aperture range of f/32 to f/2.8, an optical image stabilizer, ring-type ultrasonic motor AF system, and internal focus with range limiter. It comes with a detachable tripod collar that can be rotated and a rounded 8-blade diaphragm. 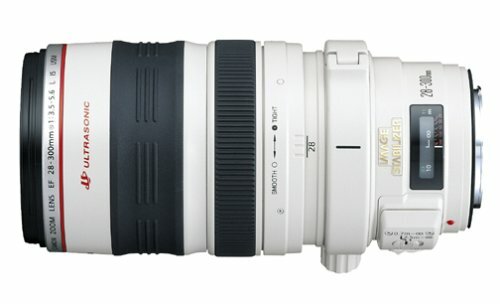 We like that the Canon EF 70-200mm f/2.8L IS II USM is dust- and weather-sealed. Its image stabilization also delivers quite a performance in our opinion, and we appreciate its autofocus and manual override. What we do not like much are its flare resistance and the mount ring design, but this last one is just a minor complaint. This lens from Tamron is a full-frame lens that works with a Canon EF mount. Its aperture range is f/22 to f/2.8, and it has one XLD element and five LD elements. 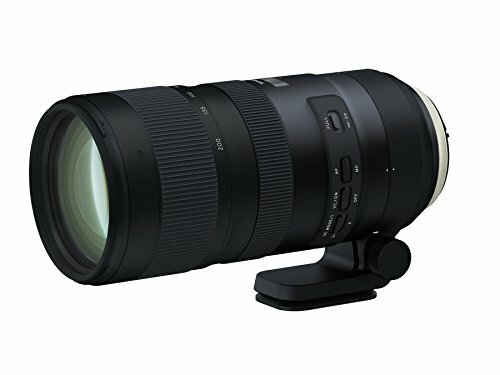 Unlike most of the lenses on this list, the Tamron SP 70-200mm f/2.8 Di VC USD G2 uses an ultrasonic silent drive AF motor. The Tamron SP 70-200mm f/2.8 Di VC USD G2 also has eBAND, BBAR, and fluorine coatings, VC image stabilization, a detachable Arca-compatible tripod mount, rounded 9-blade diaphragm, and a dust- and moisture-resistant body. Overall, we like how fast the focus is. It also has a good color tone and nice sharpness. The only issue is that there may be times that the VC fails to respond at startup. This full-frame lens from Sigma has an aperture range of f/22 to f/5-6.3. It uses two FLD elements and three SLD elements, a hypersonic motor AF system, and an optical stabilizer with an accelerometer. There are switches for manual override and zoom lock, and the minimum focus distance is 2.6 m. The Sigma 150-600mm f/5-6.3 DG OS HSM Sports has a splash- and dust-proof mount, a lens hood, and a rotatable tripod collar. 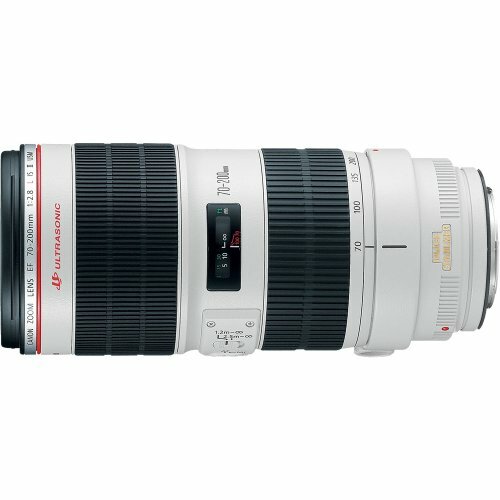 The Canon EF 100-400mm f/4.5-5.6L IS II USM has an aperture range of f/38 to f/4.5 and features optical image stabilization. It is weather-sealed and has a fluorine coating, as well as a removable and rotatable tripod collar. 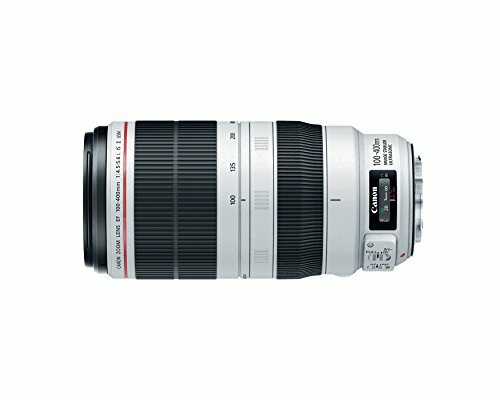 The Canon EF 100-400mm f/4.5-5.6L IS II USM uses a ring-type ultrasonic motor AF system, and the zoom ring and torque adjuster are the rotating types. The use of a killer camera is not necessarily equal to producing awesome shots. The most important thing to have in photography next to your camera is a lens. Here are the most common types you can find. Standard lenses are called such because they produce photos that look more or less “natural” to the human eye. These lenses typically have fixed mid-range focal lengths of around 50 mm, AOVs that somehow resemble what we can naturally see, and wide apertures. Designed for close-up photography, macro lenses are constructed such that they emphasize sharpness and contrast, which are important in macro photography. You can use macro lenses to shoot plants, small animals, insects, and any everyday object that you want to capture in detail. Meant for shooting subjects located at medium and long distances, telephoto lenses are noticeably bigger and heavier than other types of lenses. Photographers normally use telephoto lenses to shoot subjects that they cannot approach, such as in wildlife settings and during sports events. Simply put, wide-angle lenses capture more of a specific scene in a single shot than do standard lenses because of their much wider angles of view (shorter focal lengths). These lenses are used to produce abstract-looking photos or pictures with a dynamic appearance, such as pictures of surfing subjects. Wide-angle lenses are also commonly used for landscapes and small spaces. There are tons of lenses on the market that are designed for not-too-common photography. If you need heavy perspective control, you may want to try tilt-and-shift lenses. For portrait photography, you can also try soft-focus lenses. Infrared lenses are used to capture light that falls outside the normal spectrum. Numerous entry-level cameras are often sold with lenses already. These are kit lenses, which are useful for general point-and-shoot photography. You can easily get lost in the jargon when shopping for DSLR lenses. Here are the most important things to keep in mind when looking for lenses. Together with the size of your camera’s sensor, the focal length determines a lens’s angle of view. The smaller the number, the wider the angle. The aperture indicates how much light the lens can gather. The smaller the number, the more light is gathered. Wide apertures are great for shooting under low light, but small apertures are better at capturing details. Some cameras come built with image stabilization already. If yours does not have this feature, then you need to find lenses that have it. For the Canon EOS 6D Mark II, you need to find lenses that are specifically designed for full-frame cameras.